This is fully intended. 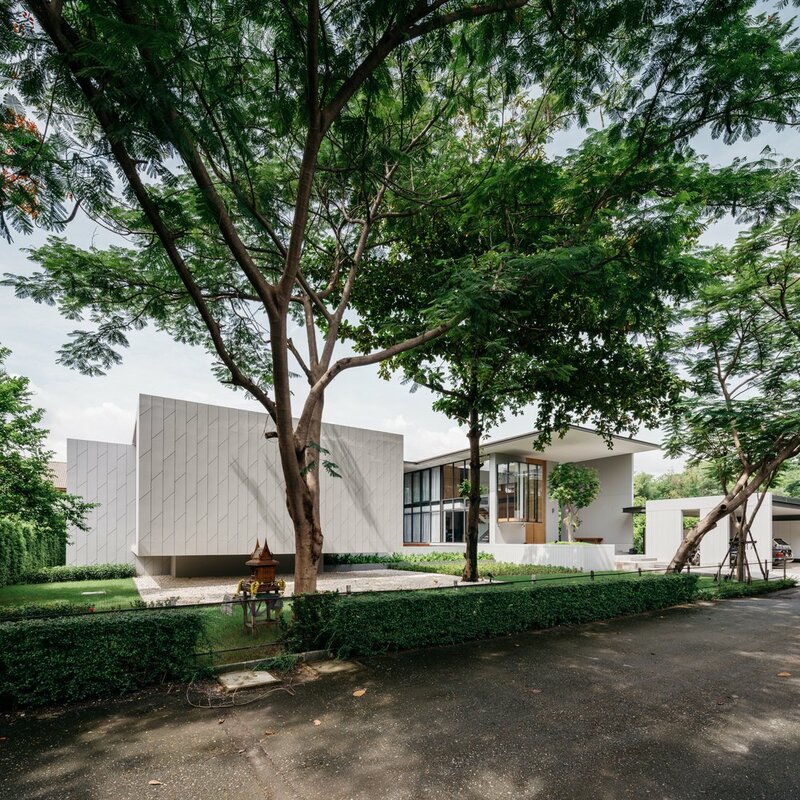 AOMO Architects took inspiration from Feng Shui to complete this house extension, a Chinese practice which seeks to harmonize individuals with their surroundings. This becomes more noticeable as you move inside. The architects have carefully considered decisions regarding spacing and light, and have balanced contrasting materials and organic forms alongside one another bringing about a unique sense of tranquillity. In reality, of course, the building’s floating sensation is a mere trick of the eyes. A large segment of the building protrudes from a foundation resting beneath, giving an illuminating and slightly surreal sense of elevation. The building’s flat roof is what evokes that signature mid-century style most prominently. From the outside, the entire structure gives the impression that it is composed of separate modular cubes, grouped together and intersecting at varying heights and levels. The interior is sparsely decorated and any furniture is modest yet chic, putting further emphasis on the building’s bold architectural form. Take the bathroom, for instance. The soft curvature of the urinal contrasted with the severe regimented straight edges elsewhere is a feast for the eyes of anyone with a weakness for articulated shapes. 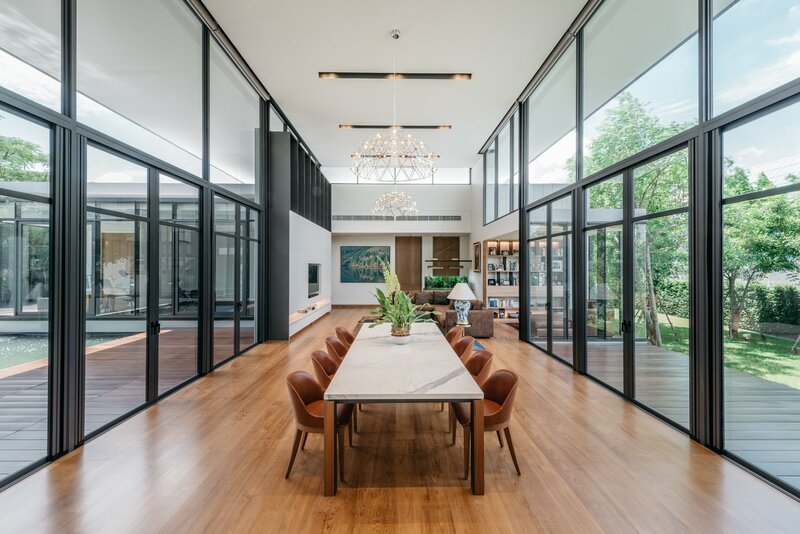 Despite the building being a single storey, the ceilings are high and the walls often consist of nothing more than floor-to-ceiling glass panels, creating a peaceful interplay between outdoors and in, and thus eliminating any sense of a loss in height. The dining room is perhaps the clearest example of this. 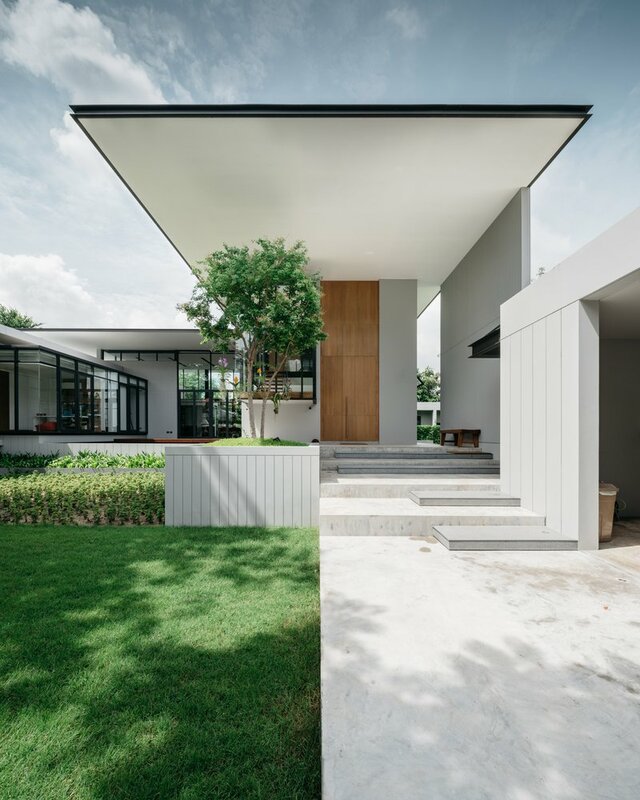 Glass floor-to-ceiling windows frame either side of the rectangular room and wooden decking spills outdoors, culminating in a pleasing synergy between the interior and exterior spaces. Remarkably, this house extension was completed with a relatively modest budget. Careful to work with affordable materials such as PVC, polished concrete and cement, AOMO were able to excel in their focus on the craftsmanship of specific elements. It worked!